Vasco da Gama and Avaí meet at Estádio Club de Regatas Vasco da Gama, in a match for this stage of the Copa do Brasil (3rd Round). At this stadium, the head‑to‑head history favours the home team, since they have a record of 2 wins, 1 draw and 1 loss in the last 4 matches. Sure enough, the last time these teams met at this stadium, on 17‑06‑2017, in a match for the Serie A, Vasco da Gama won by (1‑0). The only goal of the match was scored by Yago Picachu (20' ). The home advantage may play an important role in this match , since Vasco da Gama presents significant differences between home and away results. The home team comes to this stage of the Copa do Brasil (3rd Round) after having eliminated: Serra and Juazeirense. This is a team that is often stronger at home, with the help of its supporters, so they usually make good use of the home advantage, since in the last 30 matches they register 4 wins, 6 draws and 5 losses in away matches; against 9 wins, 5 draws and 1 loss at their stadium. In their last match, for the Carioca 1, they got a home tie against Flamengo by (1‑1). 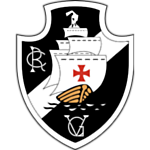 In the last 10 home matches Vasco da Gama has won 7, tied 2 and lost 1. They have presented defensive consistency, since they have only suffered goals in 3 of the last 10 matches, and their offense has scored frequently, since they have scored goals in all of the last 10 matches. They have been able to score first and have done so in 11 of the last 12 matches, they have reached half‑time in advantage in 8 of those 11 matches and have held on to the lead until the end of the 90' in 9 of them. Confirmed Lineup: Fernando Miguel, Danilo Barcelos, Werley, Leandro Castán, R. Cáceres, Thiago Galhardo, Lucas Mineiro, Raul, M. López, Marrony, Yago Pikachu. The away team comes to this stage of the Copa do Brasil (3rd Round) after havinf played in the previous rounds against: Brasil de Pelotas and Real Ariquemes. This is a team that usually maintains its competitive level in home and away matches, since in the last 30 matches they register 7 wins, 2 draws and 6 losses in away matches, with 23 goals scored and 15 conceded; against 9 wins, 4 draws and 2 losses at their stadium, with 24 goals scored and 5 conceded. In their last match, for the Catarinense 1, they got an away loss against Hercílio Luz by (1‑0). 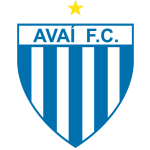 In the last 10 away matches Avaí has won 5, tied 2 and lost 3. Their offense has scored consistently, as they have scored goals in 7 of the last 10 matches. In 15 matches, they have conceded the first goal 4 times and have never been able to turn the score around. Confirmed Lineup: Gledson, Alex Silva, Matheus Barbosa, Betão, Iury, Ricardo Thalheimer, Marquinhos Silva, Pedro Castro, João Paulo, Daniel Amorim, Getúlio.